this is a book of 1 shots this will be my first book so if its bad don't kill me. OMG IM BACK AND HOW!!!!!!!!!!!! 2 k spetal Raph x reader!!!!! oh my god thank you!! You can send me request on which 'x reader' you want to do with your favourite turtle. Send me on the request page and STRICTLY on the request page. Now order up! Includes x readers, ships, and tcest. No ocs /names though. Contains some mature content. I do not own TMNT. Tmnt x Reader One Shots! A variety of different stories of you and the loveably TMNT. What sorts of stuff will you get up to. Read and find out. 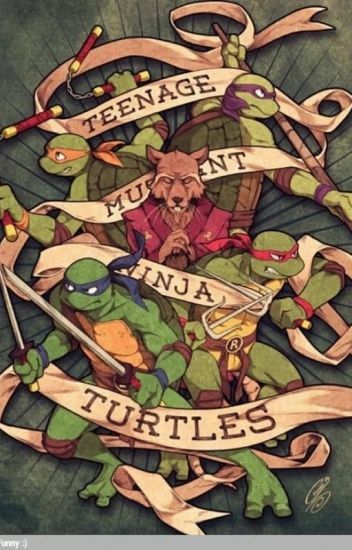 Btw; I do not own the TMNT or you! [DISCONTINUED] Any of the turtles and (the most important ingredient) YOU! [PLEASE NOTE I WILL NO LONGER BE TAKING ON OC's (7-3-17)] DISCLAIMER: I don't own Tmnt or you. read the title, lol. anyway, i am open to request, i don't do lemons though. keep that in mind. Stories and Prefrences putting you into the world of the teenage mutant ninja turtles. I may take requests but may not sometimes, and don't expect them to be early. Enjoy your turtle(s)! Read on! EDIT 2018: This book is REALLY old. Expect some grammar mistakes and VERY, very bad writing skills. Read at your own risk.